The File Explorer program, formerly known as Windows Explorer, has been a core element of the operating system for decades. Like most of the various portions of the operating system, it’s been given a noticeable overhaul in Windows 10. There are plenty of new tools to get acclimated to, though the basic layout and functionality will be familiar to anyone who has used Windows XP or later. 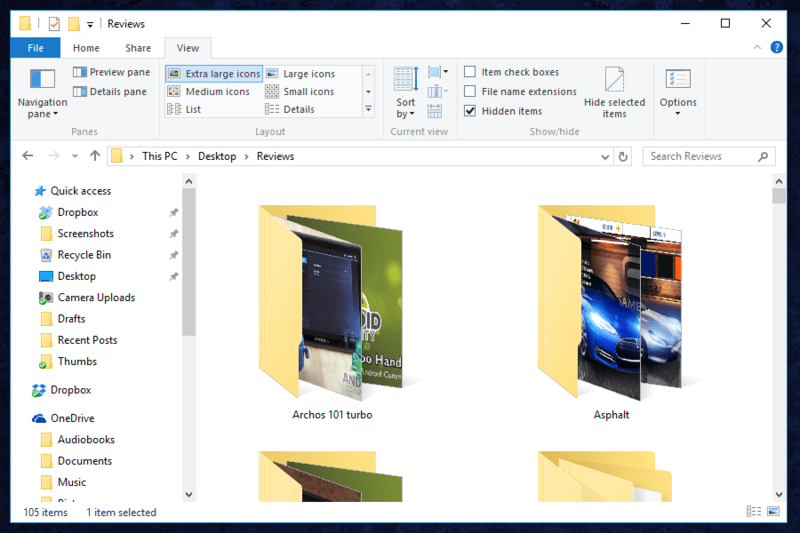 Here’s a quick guide on some of the finer points of the new File Explorer. OneDrive, Microsoft’s cloud storage service, gets a dedicated folder beneath the Quick Access area. 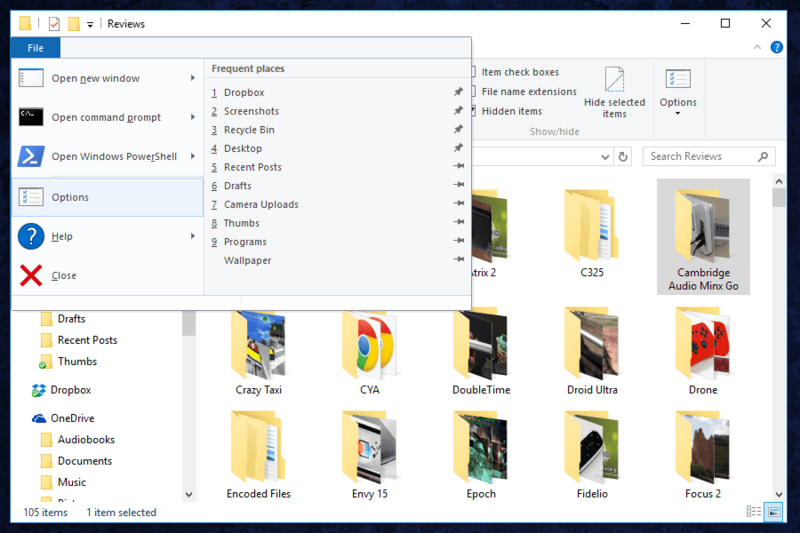 Other folders on your computer are available in a tree view below OneDrive. The Home ribbon isn’t all that useful, if only because the functions inside it are all available as standard clicks or well-known keyboard shortcuts, like copy and paste. Share shows functions that are less common: you can use these buttons to send specific files or folders to a ZIP archive, print or fax documents, burn files to a CD or DVD disc, or share them using Windows’ built-in networking tools. The View tab is where some of the more interesting tools are located. 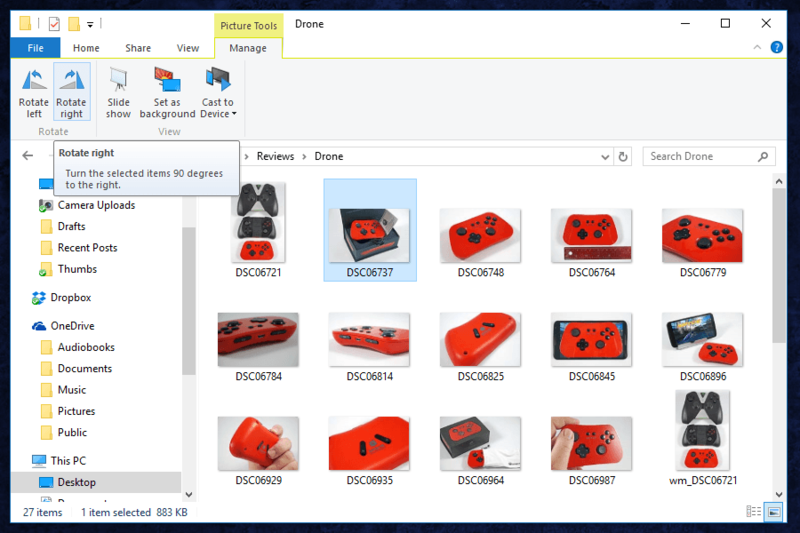 Here you can enable or disable the Navigation pane (where the Quick Access section is) and show or hide separate panes for Preview (which will show larger versions of things like photos or videos) and Details (which show more technical aspects of a file or group of files at a glance). In the Layout section, you can select entirely different views for this specific folder. More advanced tools are available by clicking the “Options” icon, then clicking “Change folder and search options.” Try out all of the different view options – you may find that some of them are very useful, especially in folders with large amounts of files. There are a couple of other tricks as well. 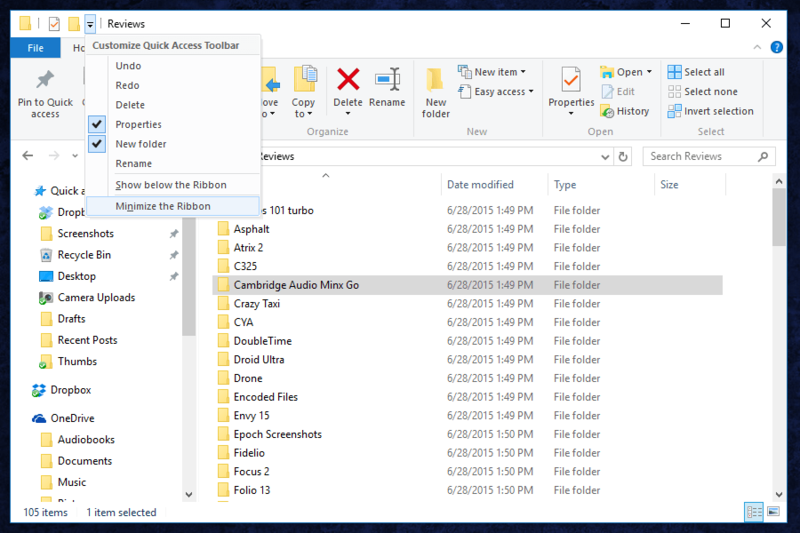 To quickly get to a Quick Access folder without using the mouse, click Alt + F to open the File Menu. From here, click any 1-0 number key to open the corresponding Quick Access folder in sequence. You can also use the “Change folder and search options” view to quickly pin or unpin any folder. File Explorer contains some basic photo tools as well, but they’re hidden by default. Open a folder with photo files inside, then click on one. A new yellow tab, “Picture tools,” will appear above the “Manage” ribbon tab. Click it, and you can quickly access tools to rotate a photo left or right, start a slideshow with the default photo viewer, or set a photo as your desktop background. File Explorer has a search bar, just like most modern Internet browsers. 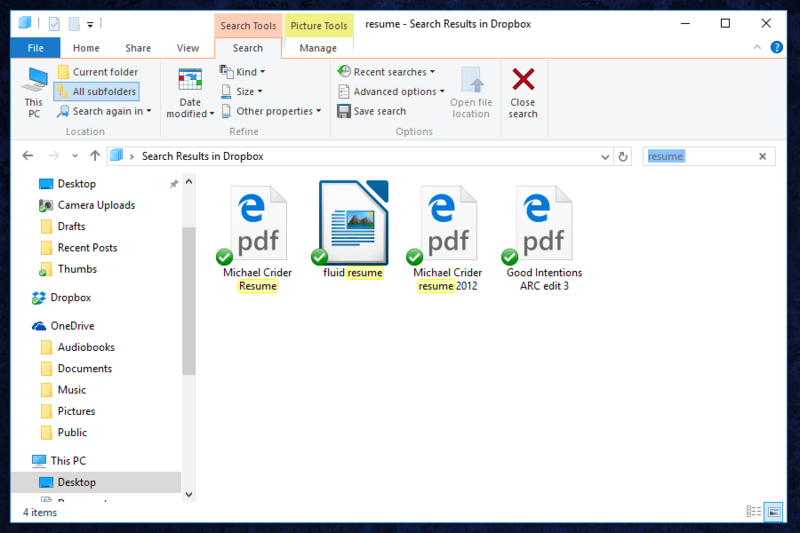 It’s an integrated part of Windows, but when you use the Search function in File Explorer itself, your search will be limited to the folder you currently have open (plus any files contained in folders inside that folder). This is especially useful if you have dozens or even hundreds of files in a given folder. Simply start typing in the Search bar and matching results will be shown. Certain file types, like Word documents, will also be displayed if your search query matches any of the content inside of the file. If you’re not sure where exactly one of your search results is located, right-click it and select “Open file location” to instantly open the relevant folder. Clicking the search bar will also open the Search Tools portion of the Ribbon interface (which is usually hidden). Here you can limit your search to the current folder, search for files or folders modified on a specific date, search by file size or file type, and save specific searches for access later. Unfortunately, File Explorer search doesn’t have all the functionality of a full Cortana search. You can’t search for “word documents from December,” for example (well, you can, but you won’t receive relevant results). 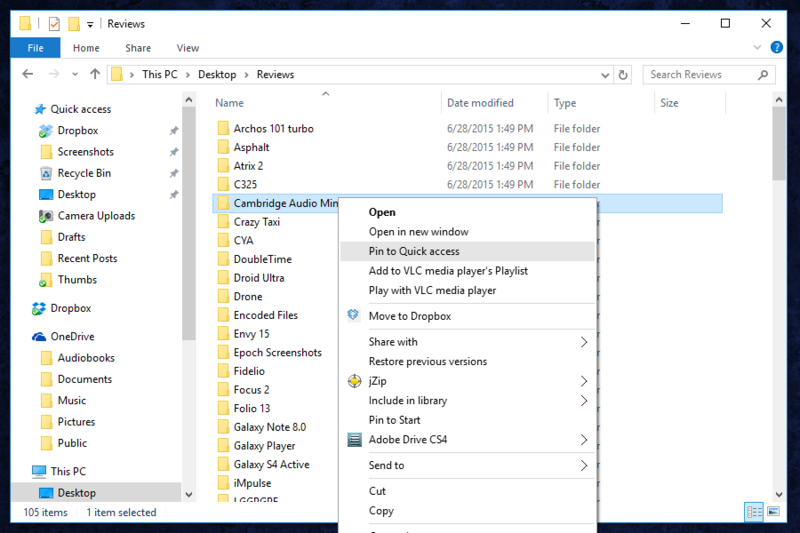 Windows key + E – open a new instance of File Explorer from anywhere in Windows. Alt + P – show or hide the Preview pane. Alt + Shift + P – show or hide the Details pane. Alt + left arrow key – go back one folder in your history. Alt + up arrow key – go up one folder in the folder tree. Ctrl + N – open a new File Explorer window. Ctrl + E – activate the Search bar. Ctrl + Shift + N – create a new folder in the current folder. Ctrl + mouse wheel up or down – increase or decrease the size of icons and thumbnails.